James Bond salutes you - 10 candidates want to prove they have what it takes to become a future action star. 5 men, 5 women and a whole lot of spectacular action stunts -that is STUNT HERO. Only one candidate will manage to embark on a film career as an action hero. In the reality casting show «Stunt Hero» five men and five women compete for the realization of their biggest dream: to become a stunt man in Hollywood. But in the end only one of them will be offered the job in the heart of filmmaking. Nine of them will fail during the course of the show: because only the one who can withstand the physically and mentally demanding training sessions with a top-class stunt team, and bear the assessment of the critical jury, will be able to realize his dream of Hollywood. Yet the journey through time is tougher than expected. The ambulance arrives on the scene several times and first doubts and fears begin to creep in? Who masters the fencing duel on the castle wall and willingly falls eleven meters to the ground? And who will stretch his limits to hang from the runners of a flying helicopter as it flies over a lake? Not every stunt hero was born to be d'Artagnan, hence one candidate or another will reach their personal and emotional limits. Who will lead in the action-filled finale? Who has exceeded his personal limits and overcome his fears? 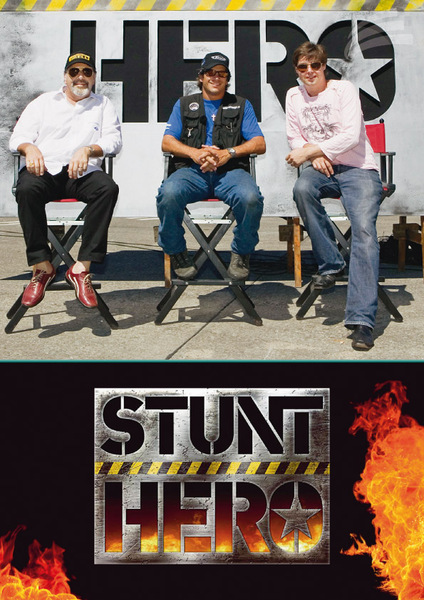 STUNT HERO not only produces the next generation of talented stuntmen, it also illustrates that the development of an action film is linked with hard and sometimes life-endangering work.